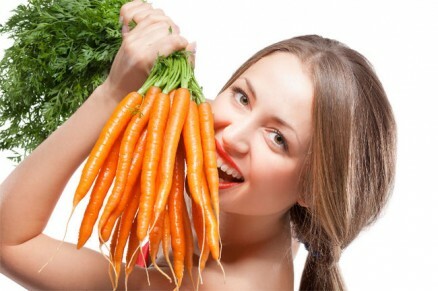 Carrots: Besides the fact that carrots are delicious, they also promote good vision and a healthy scalp. Carrots are rich in Vitamin A, which is ideal for keeping the scalp conditioned and hair shiny. You can add carrots to many meals, either as a salad topping, as a snack, or in soups. Over all carrots are a win win. Beans: Beans are magical for more reasons than you might think. They’re full of protein, rich in iron, zinc, and biotin. Beans promote optimal hair growth and health. Having sufficient amounts of biotin in your body prevents brittle hair. Milk: Milk and milk products are high in calcium and protein. Calcium is an important mineral that stimulates hair growth. Try to provide your body with 3 servings of calcium a day, also aim for low-fat or fat-free yogurts, milk, cheese, and sour cream. Greens: Going green isn’t just a trend for a healthier planet, keeping green leafy veggies in your diet is a healthy boost for your hair too. Besides being full of calcium and iron, dark green veggies like spinach, kale, broccoli, and salad greens also provide Vitamins A and C which are necessary for your sebum production. Fish: Omega-3 fatty acids are essential for optimal scalp health. A healthy scalp is directly related to healthy hair. Fish such as salmon, herring, tuna, mackerel, sardines, and bluefish are all great sources of omega-3 fatty acids and protein.